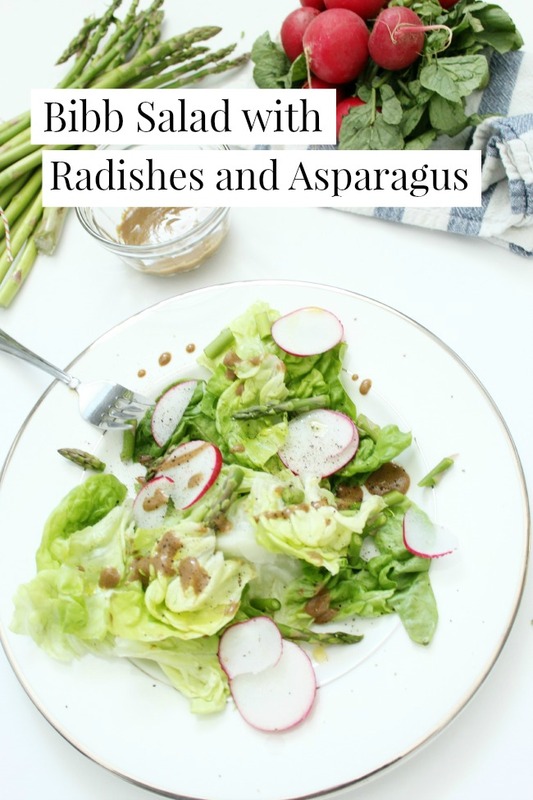 Asparagus is a sure sign of spring – when the market fills with delicious green stalks that are perfect for light broiling or to enjoy in fresh garden salads. This light salad makes an appetizing lunch that is enjoyable on its own or paired with savoury pasta dish. 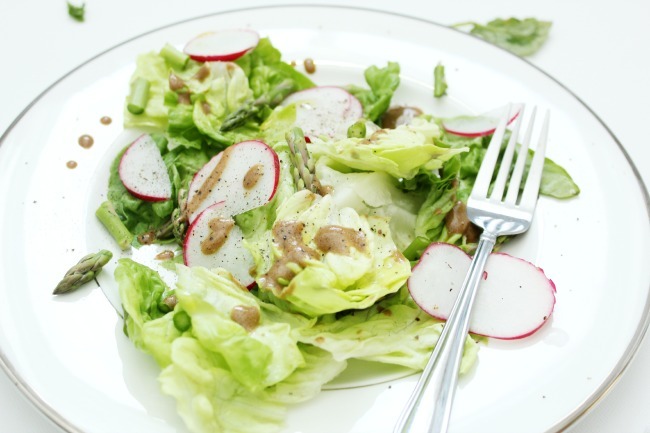 The crisp, sharp flavour of radishes paired with slightly bitter taste of asparagus and sweet Bibb lettuce covered with dijon mustard vinaigrette is an incredibly energizing palette! In a medium bowl, whisk together mustard, vinegar, and olive oil; season with salt and pepper. 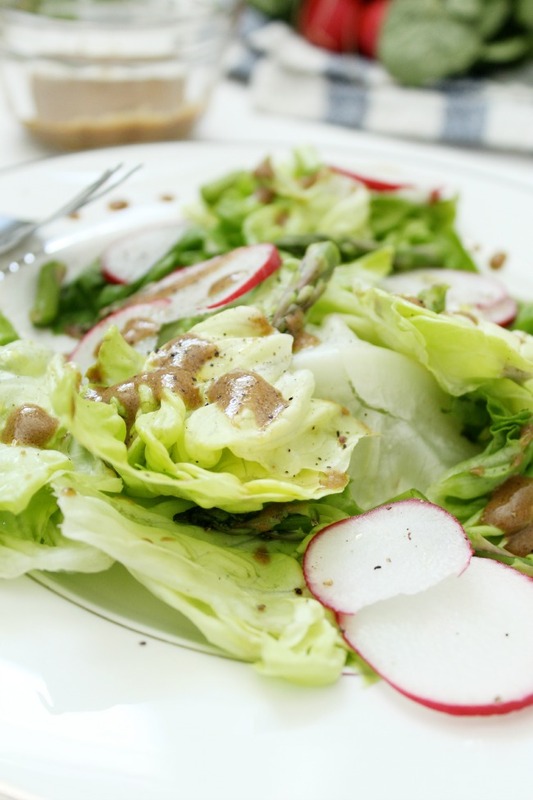 Add lettuce, radishes, and asparagus. Toss to combine. Serve immediately. Tasty salad. I love radishes. I usually add them to my salads. Salad looks very refreshing. Yummy!! !